​"I believe that by providing a safe and nurturing therapeutic environment, a person can learn the skills necessary to empower themselves to achieve overall wellness and health in both their mind and body. " 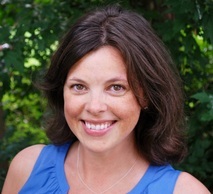 Dr. Jennifer Denkin, Ph.D. is a clinical psychologist in Greenwich and New Canaan who specializes in Health Psychology, the mind-body connection, eating disorders, depression, anxiety, chronic pain, stress and physical health issues. Over the years, she has worked as a psychological consultant in Primary Care, Neurology, OB/GYN and Chronic Pain Management clinics. As a Health Psychology expert, she is able to work with clients who are suffering from both medical and psychological symptoms of stress, anxiety and depression. She is trained in Brief Psychodynamic, Cognitive Behavioral and Interpersonal Therapies and is qualified to provide biofeedback for chronic pain, high blood pressure, migraines/headaches, fertility and stress management. Some examples of her past treatments include: treating clients who have physical symptoms of stress that cause migraines, sleep disturbance or emotional eating, those who are having difficulty adjusting their lifestyle to a newly diagnosed medical condition, women who are struggling with the loss of a pregnancy or fertility issues and working with clients who are interested in strengthening their mind-body connection to promote overall wellness and health.